(CBS News) There are two main facilities for incarcerating soldiers at Fort Leavenworth in Kansas, the oldest continuously operated military base west of the Mississippi River. The first is the maximum security United States Disciplinary Barracks. The second is the Midwest Joint Regional Correctional Facility (JRCF), a medium-to-minimum security facility that is also designed for pre-trial detention. As of the writing of this report, Bradley Manning, the Army private accused of spilling state secrets to WikiLeaks, as well as Robert Bales, the Army sergeant accused of massacring 16 civilians in Afghanistan on March 11, are being detained there. While Manning has already begun the judicial process, Bales is yet to be charged. JRFC is, according to an official statement (PDF), "a state-of-the-art, 464 bed, medium/minimum custody facility with a 48-bed special housing unit built to comply with American Correctional Association Standards. It officially opened on October 1st, 2010 and received its first military prisoners four days later." There are approximately "1,200 trained and experienced Corrections Specialists and Soldiers" in the command that guards the two military facilities at Fort Leavenworth, in addition to numerous mental health specialists and physicians. The prison cells meet all the modern American requirements. According to the facility, "each cell is at least 80 square feet, of which 35 square feet is unencumbered, usable space not taken up by furnishings or fixtures. 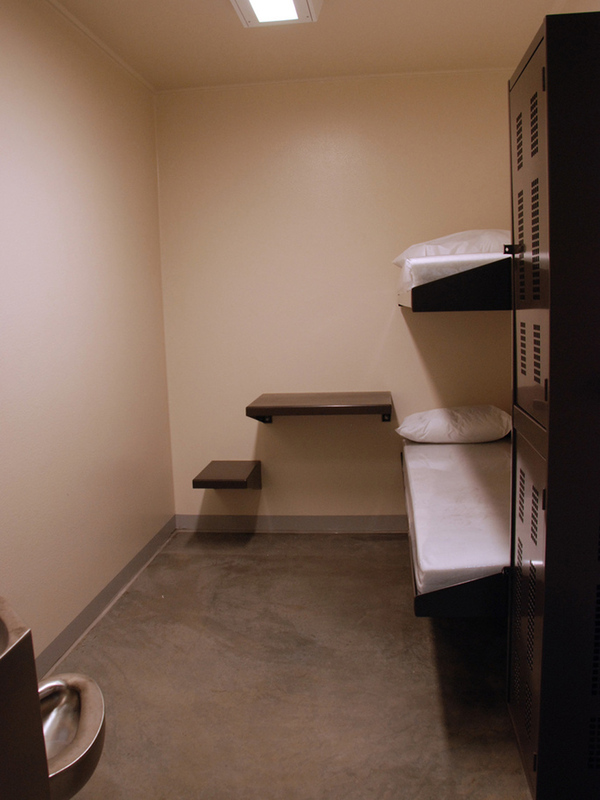 All cells have a sleeping surface and mattress, a writing surface and seat, storage for personal items, and adequate storage space for clothes and personal belongings. Lighting in all cells is at least 20 foot-candles at desk level and in personal grooming areas, and prisoners have access to natural light by means of an opening or a window of at least three square feet between the cell and an adjacent space." One unusual feature of the JRCF is its use of geothermal wells. According to a Fort Leavenworth Lamp article from 2010, the facility uses "the geothermal heat pump energy to lower green house gas emissions and cut energy costs by $100,000 a year. The system relies on 480 geothermal wells, each 280 feet deep, with high-density polyethylene water-filled tubes that take heat from the ground and pump it into the building for the winter and carry the summer's heat into the ground for cooling in the summer."